Getting quick cash to cover unexpected or emergency expenses can be a very costly experience, particularly if you have little savings and less-than-stellar credit. About 5% of American adults use payday loans to help pay the bills, but only about 1% — slightly more than 2 million people — borrow from auto title lenders. That’s according to a 2015 report by the Pew Charitable Trusts. As restrictions on payday loans have increased, however, states where title loans are allowed have seen a rise in the number of lenders offering the auto-secured loans. For people with bad credit or no credit history, these small-dollar cash loans might not be just a quick and easy solution for cash shortfalls, but could be viewed as the borrower’s only option. If you are one of those people, here are some things to consider before signing any agreements. How they work: In most cases, you’ll write a post-dated personal check for the amount you want to borrow plus a finance fee made payable to the lender. You enter this information online when applying for a payday loan through the internet. The lender then advances you the loan for a set period, usually 14 days. When that period is up, you pay the lender the loan plus finance fee in cash, or let them deposit the post-dated check. If you wish to extend the loan, you can write another post-dated check for the amount plus an additional finance fee. If you do not pay the debt in full at the end of the term, you will generally be charged additional fees and finance charges. The downsides: Payday loans have high interest rates that can make it difficult for borrowers to pay off balances on time. It is very costly to be stuck in a payday loan cycle for a long time and can lead to larger financial problems. Interest rate charged: Typically a 300% APR, according to the Federal Trade Commission, but lenders charge less in states that require lower rates. How they work: You take your vehicle to an auto title lender — generally a storefront business — where the lender determines the value of the vehicle and offers you a loan for a certain percentage of that car’s value. You give the lender the title as collateral for the loan, giving the lender the ability to repossess your car if you do not repay the loan. The downsides: Just like payday loans, title loans usually have high interest rates and extra costs including storage and repossession fees. The average lump-sum title loan payment consumes 50% of an average borrower’s gross monthly income, more than most borrowers can afford, according to Pew. And, perhaps the biggest downside of title loans, if you miss just one payment, don’t pay the fees or can’t pay the accrued interest by the end of your loan term, your car could be sold or repossessed. 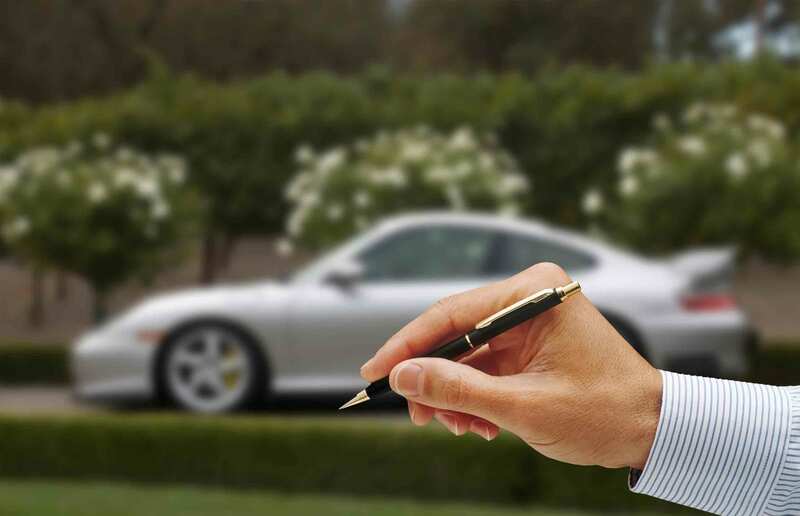 Between 6% and 11% of title loan customers have a car repossessed annually, according to Pew. Additional facts: Title loan customers spend approximately $3 billion annually, or about $1,200 each, in fees for loans that average $1,000, the Pew Charitable Trust survey found. Title loans are typically larger than payday loans. On average, title loan amounts are about $1,000 versus $375 for payday loans, the survey found. This is one reason that the estimated $1,200 spent annually by an average title loan borrower on fees is more than twice the $520 spent a year by an average payday loan borrower, Pew said. Do Payday Loans & Title Loans Affect My Credit? The upside for some borrowers is that credit checks aren’t typical, and loans often aren’t reported to the credit bureaus (though this can be a double-edged sword, since if you are making on-time payments that aren’t being reported, the financing isn’t helping you build credit). And neglecting other payments that do affect your credit is possible, if you’re struggling to cover the costly interest rates and finance fees. So, while many payday and title loans might not directly affect your credit score, they can still cause trouble for your overall credit health. Charge the amount to your credit card. Consider applying for a personal loan. Use a cash advance on your credit card. Be sure to read the terms and conditions associated with any of these options carefully. Remember, you could qualify for more competitive offers or rates by improving your credit scores. You can see where your credit currently stands by viewing your free credit report summary, updated every 14 days, on Credit.com. If you have evaluated all of your options and decide a payday or title loan is right for you, be sure to understand all the costs and terms before you apply as well.